With marijuana being legalized in cities and states around the country, more attention is being paid to policing the quality and purity of the popular mood-alterer. Back in the bad old days when it was illegal throughout the country, marijuana varied widely in quality and was often "cut" with other substances that made it less effective and even, in some cases, harmful. Noting all the newfound interest, the American Chemical Society has put together a video that explains the chemistry behind marijuana's high and investigates what scientists are doing to ensure that legalized weed won't send users on a bad trip. Now that marijuana use won't get you busted in your state, are you thinking of firing up a doobie and mellowing out? You might want to think again, dude. According to a French study reported in the Journal of the American Heart Association, smoking pot could result in cardiovascular-related complications -- even death -- among young and middle-aged adults. "In prior research, we identified several remarkable cases of cardiovascular complications as the reasons for hospital admission of young marijuana users," said Emilie Jouanjus, Pharm.D., Ph.D., lead author of the study and a medical faculty member at the Centre Hospitalier Universitaire de Toulouse in Toulouse, France. "This unexpected finding deserved to be further analyzed, especially given that the medicinal use of marijuana has become more prevalent and some governments are legalizing its use." Researchers analyzed serious cardiovascular-related complications following marijuana use that was reported to the French Addictovigilance Network in 2006-10. They identified 35 cases of cardiovascular and vascular conditions related to the heart, brain and limbs. Most of the patients were male, average age 34.3 years. Nearly 2% (35 of the 1,979) marijuana-related complications were cardiovascular complications. Of the 35 cases, 22 were heart-related, including 20 heart attacks; 10 were peripheral with diseases related to arteries in the limbs; and three were related to the brain's arteries. The percentage of reported cardiovascular complications more than tripled from 2006 to 2010. Nine patients, or 25.6 percent, died. And that may not tell the whole story. researchers note that marijuana use and any resulting health complications are likely underreported. There are 1.2 million regular users in France, and thus potentially a large amount of complications that are not detected by the French Addictovigilance System. "The general public thinks marijuana is harmless, but information revealing the potential health dangers of marijuana use needs to be disseminated to the public, policymakers and healthcare providers," Jouanjus said. People with pre-existing cardiovascular weaknesses appear to be more prone to the harmful effects of marijuana. "There is now compelling evidence on the growing risk of marijuana-associated adverse cardiovascular effects, especially in young people," Jouanjus said. "It is therefore important that doctors, including cardiologists, be aware of this, and consider marijuana use as one of the potential causes in patients with cardiovascular disorders." Surveillance of marijuana-related reports of cardiovascular disorders should continue and more research needs to look at how marijuana use might trigger cardiovascular events, she said. Marijuana may help reduce frustration with traffic congestion but it's not doing much to increase traffic safety in Colorado, where a new study finds a dramatic increase in the proportion of marijuana drivers involved in fatal traffic accidents since the commercialization of medical marijuana there in mid-2009. University of Colorado School of Medicine researchers used data from the National Highway Traffic Safety Administration's Fatality Analysis Reporting System covering 1994 to 2011. They analyzed fatal motor vehicle crashes in Colorado and in the 34 states that did not have medical marijuana laws. They found that fatal motor vehicle crashes in Colorado involving at least one driver who tested positive for marijuana accounted for 4.5 percent in the first six months of 1994; this percentage increased to 10 percent in the last six months of 2011. The increase in Colorado was significantly greater compared to the 34 non-medical marijuana states from mid-2009 to 2011. The researchers also reported no significant changes over time in the proportion of drivers in a fatal motor vehicle crash who were alcohol-impaired within Colorado and comparing Colorado to the 34 non-medical marijuana states. Stacy Salomonsen-Sautel, Ph.D, who was a postdoctoral fellow in the Department of Pharmacology, is the lead author of the study, which is available online in the journal Drug and Alcohol Dependence. Christian Hopfer, MD, associate professor of psychiatry, is the senior author. While the study does not determine cause and effect relationships, such as whether marijuana-positive drivers caused or contributed to the fatal crashes, it indicates a need for better education and prevention programs to curb impaired driving. Future historians will surely look back on this time as the beginning of the end of American marijuana prohibition (1937-20??). But here in June 2014, it's too soon to predict when any of those things will happen. 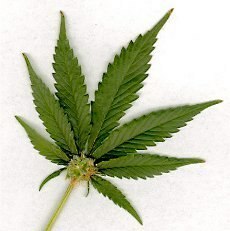 And many Americans, especially those whose paychecks and livelihoods come from organizations with names like “Drug Enforcement Administration” or “National Institute on Drug Abuse,” keep their focus on predicting the real or perceived downsides of making marijuana the legal equivalent of alcohol, where adult possession and use are concerned. The only marijuana available for research in the U.S. is locked down by federal regulators who are more focused on studies to keep people off the drug than helping researchers learn how it might be beneficial. Marijuana is a trend that “will peak like tobacco then people will see their error,” said Nora Volkow, director of the National Institute on Drug Abuse, which serves as the gatekeeper for U.S. Marijuana research through its oversight of a pot farm that grows the only plants that can be used in clinical trials.... Volkow said that long-term pot use, as well as some experimenting, can lead to addiction. About 4.3 million people ages 12 and older abused the drug or had marijuana dependence in 2012, about the same as in 2002, according to the U.S. Substance Abuse and Mental Health Services Administration. As of June 2014, marijuana is legal for medical use in 22 states, and for purely recreational use in two. Yet the U.S. federal government still classifies marijuana as a Schedule 1 drug — which means that, according to the law, it has absolutely no medicinal or therapeutic use whatsoever (although “Marinol,” synthetic marijuana produced by a pharmaceutical company in pill form, is legal and does have medicinal value, provided you get a doctor's prescription first). Washington's regulators are deliberately engineering a shortage. Keen to prevent diversion of newly legal marijuana to other states, which might trigger a federal crackdown, the LCB is imposing a cap on production and strictly limiting the number of retailers. The amount of marijuana cultivation allowed by the state is calculated to supply just 25 percent of the market, while the number of retail licenses will be much smaller than the number of existing medical marijuana suppliers. Seattle, which has about 200 dispensaries (including delivery services), has been allotted just 21 state-licensed pot stores. Colorado has had “supply” problems since the beginning of the year; throughout the month of January, media headlines ranged from the straightforward “Colorado Pot Supply: Marijuana businesses fear shortage” (Time.com, Jan. 8) to the more tongue-in-cheek “Bummer: the great Colorado weed shortage of 2014” (The Daily Beast, Jan. 11). It's easy to see why marijuana retailers would have supply problems alcohol retailers do not: among other things, maintaining inventory of a consumable product is tricky when that product remains thoroughly illegal on the federal level and in 28 states. In Colorado, for example, a man lost custody of his children after he got a medical-marijuana prescription. Such anecdotes are not unusual in medical-marijuana states, again because the law can't decide the exact status of marijuana (let alone those who use it): Useful medication? Recreational intoxicant which responsible adults can enjoy without harm? Or a Schedule 1 narcotic so nasty, any use of it automatically makes you an unfit parent? Or an unfit employee — despite marijuana's legal status, Colorado employers who require drug tests of their employees can still fire or refuse to hire marijuana users, even those who only use it under a doctor's care. So even if you are among the growing number of Americans who can, at least in some circumstances, legally acquire and use marijuana, you still might want to err on the side of caution and continue to think of marijuana use as a “legal” rather than “consumer” issue — because so many levels of authority in your life still think that way, and it's far too early for historians to say when that stopped being the American status quo. 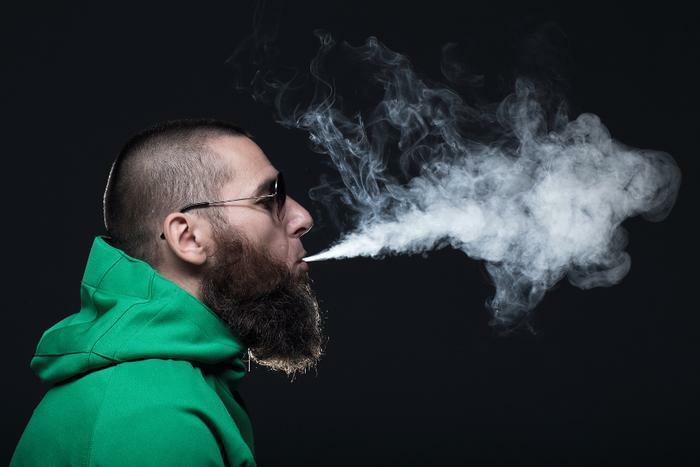 Marijuana is often regarded as a non-starter when it comes to physical effects on the body, but new research finds that secondhand marijuana smoke may damage blood vessels as much as tobacco smoke. This shouldn't be too surprising since marijuana and tobacco smoke are chemically and physically alike, aside from their active ingredients -- nicotine in the cases of cigarettes, tetrahydrocannabinol (THC) in marijuana. "Most people know secondhand cigarette smoke is bad for you, but many don't realize that secondhand marijuana smoke may also be harmful," said Matthew Springer, Ph.D., senior author of the study and cardiovascular researcher and associate professor of Medicine at the University of California, San Francisco's Cardiology Division. The research is being presented at the American Heart Association's Scientific Sessions 2014. Now that marijuana is becoming increasingly legalized in the United States, its effect on others is a growing public health concern, Springer said. "If you're hanging out in a room where people are smoking a lot of marijuana, you may be harming your blood vessels," he said. "There's no reason to think marijuana smoke is better than tobacco smoke. Avoid them both." Secondhand tobacco smoke causes about 34,000 premature deaths from heart disease each year in the United States among nonsmokers according to the U.S. Surgeon General's 2014 report on the consequences of smoking. More research is needed to determine if secondhand marijuana smoke has other similar effects to secondhand cigarette smoke in humans. In the study, blood vessel function in lab rats dropped 70% after 30 minutes of exposure to secondhand marijuana smoke. Even when the marijuana contained no THC, blood vessel function was still impaired. Reduced blood vessel function may raise the chances of developing atherosclerosis and could lead to a heart attack. Atherosclerosis is the disease process that causes plaque build-up in the arteries which narrows them and restricts blood flow. The drop in blood vessel function from THC-free marijuana suggests that the compound isn't responsible for the effect. Similarly, this study confirms that nicotine is not required for smoke to interfere with blood vessel function. In the study, researchers used a modified cigarette smoking machine to expose rats to marijuana smoke. A high-resolution ultrasound machine measured how well the main leg artery functioned. Researchers recorded blood vessel dilation before smoke exposure and 10 minutes and 40 minutes after smoke exposure. They also conducted separate tests with THC-free marijuana and plain air. There was no difference in blood vessel function when the rats were exposed to plain air. In previous tobacco studies, blood vessel function tended to go back to normal within 30 minutes of exposure. However, in the marijuana study, blood vessel function didn't return to normal when measured 40 minutes after exposure. There's a popular belief that anything that's "natural" is better than anything that's not. It's not always true but in the case of marijuana, it just may be that sticking to the real thing is safer than using synthetic substitutes, popularly known as "spice" and "K2." (Using none at all is OK too, of course). A University of South Florida neurology team reports that stroke may be among the severe health hazards associated with synthetic marijuana. 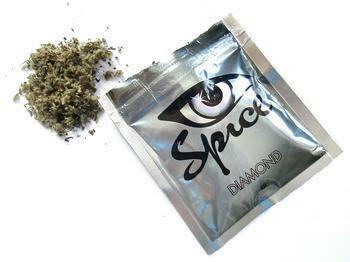 Not identified in standard toxicology screens, spice has become second only to natural marijuana as the most widely used illicit drug among high school seniors, according to a 2011 survey sponsored by the National Institute on Drug Abuse. The Chief of Police hand-delivered the world’s first retail license to sell marijuana to Annie’s Central City Dispensaryin Colorado yesterday, a historic occasion in a historic old gold-mining town. Though sales to adults 21 and over won’t begin until the first of the year, businesses have already started applying for the licenses, which are expected to bring in close to $67 million in revenue for the state each year. Currently operating medical marijuana dispensaries have been given a three-month head start on other businesses applying for the licenses, though some cities, including Denver, have extended the lead time for current dispensaries to a year or more. The state’s Marijuana Enforcement Division has accepted 136 applications from recreational marijuana stores so far. Another 400 are eligible to apply, though the state has said only establishments in “good standing” will be accepted. Future historians will be able to build entire specialized careers out of parsing the contradictory American laws regarding marijuana in the second decade of the 21st century. So that's the federal view of marijuana, but at the state level things change depending on where you live: marijuana is legal for recreational purposes in Colorado and Washington State, legal via prescription for medicinal purposes in 20 states and the District of Columbia, and a medically worthless felony-offense drug everywhere else (as of presstime). Here's the problem: for the most part, food safety is overseen by the feds (though states do have the option of adding additional regulations if they wish). Meanwhile, where marijuana at the state level is concerned, the federal government has a sort of “don't ask, don't tell” policy in place: still completely illegal at the federal level, but if a state government chooses to take a different view, the Drug Enforcement Administration and other anti-marijuana federal agencies more or less ignore it. The Coloradoannoted on Feb. 6 that in Colorado, ever since retail marijuana sales became legal on Jan. 1, foods infused with marijuana have gained in popularity among people who want to enjoy the effects of marijuana without subjecting themselves to clouds of pungent (okay, stinky) pot smoke. But the only safety issues mentioned in that article are those involving people who confuse marijuana-infused treats with ordinary ones — say, mistaking a marijuana brownie for a regular non-intoxicating chocolate treat. And what state-level rules have been or will be implemented focus mainly on how potent a given batch of marijuana is — an entirely different matter from, say, making sure a given crop is free of E. coli or other contaminants. We suspect that when future historians write their doctoral dissertations on the evolution of American marijuana laws, they will note that federal food-safety standards did not apply to marijuana crops until after the feds abandoned their “Schedule 1” insistence and officially treated marijuana as akin to alcohol—taxed and regulated far more strictly than ordinary consumer consumables, in some places available only through a state-run monopoly, but completely legal for any adult to possess or ingest. The economy may still be shaky and unemployment still high, but Americans are somehow finding the resources to purchase marijuana, cocaine, meth and other illicit drugs. A report compiled for the White House Office of National Drug Control Policy by researchers affiliated with the RAND Drug Policy Research Center says Americans likely spent more than $1 trillion on illegal drugs between 2000 and 2010. Studying illegal drug use over that period, researchers found Americans consumed 30% more marijuana from 2006 to 2010, while cocaine consumption fell by about half. Meanwhile, heroin use was fairly stable throughout the decade. Methamphetamine consumption dramatically increased during the first half of the decade and then declined. Citing 2012 statistics, the Centers for Disease Control and Prevention (CDC) reports 8.9% of people in the U.S., age 12 or older, had used an illicit drug in the past month. A large percentage of them reported using marijuana. "Having credible estimates of the number of heavy drug users and how much they spend is critical for evaluating policies, making decisions about treatment funding and understanding the drug revenues going to criminal organizations," said Beau Kilmer, the study's lead author and co-director of the RAND Drug Policy Research Center. "This work synthesizes information from many sources to present the best estimates to date for illicit drug consumption and spending in the United States." The report's data stops at 2010 so researchers say it does not cover the recent spike in heroin use, or take into consideration the consequences of marijuana legalization in Colorado and Washington. 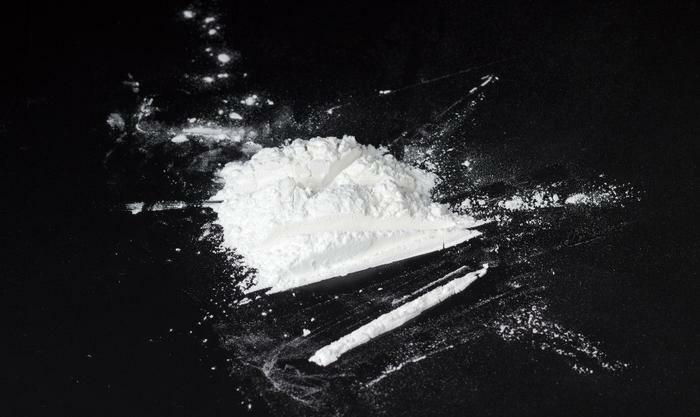 The study provides estimates of the amount of cocaine, heroin, marijuana and methamphetamine used each year from 2000 to 2010. It includes estimates of retail spending on illicit drugs and the number of chronic users, who researchers say account for a majority of drug consumption. Besides the money consumers spend on illegal drugs, billions more is spent trying to prevent those purchases and treating the effects of drug abuse. The Drug Policy Alliance reports the U.S. spends $51 billion a year on the war on drugs. In 2012 1.55 million people in the U.S. were arrested on nonviolent drug charges. In 2012 749,825 people in the U.S. were arrested for violating marijuana laws – 88% of them for possession. The number of Americans incarcerated in 2012 in federal, state and local prisons and jails rose to 2.2 million, or one in every 108 adults, the highest incarceration rate in the world. The National Institute on Drug Abuse keeps track of the costs of substance abuse. By its accounting the abuse of tobacco, alcohol, and illicit drugs is costly, amounting to over $600 billion annually in costs related to crime, lost work productivity and healthcare. It says the health care costs related to illicit drug use is $11 billion a year. Drug use overall, it says, costs $193 billion. Compared to alcohol, which is legal, the health care costs are $30 billion and overall costs $235 billion. The large uptick in marijuana use appears to be related to an increase in the number of people described as heavy users, who reported using the drug on a daily or near-daily basis. Those estimates are based on the National Survey on Drug Use and Health, which surveys nearly 70,000 people each year. 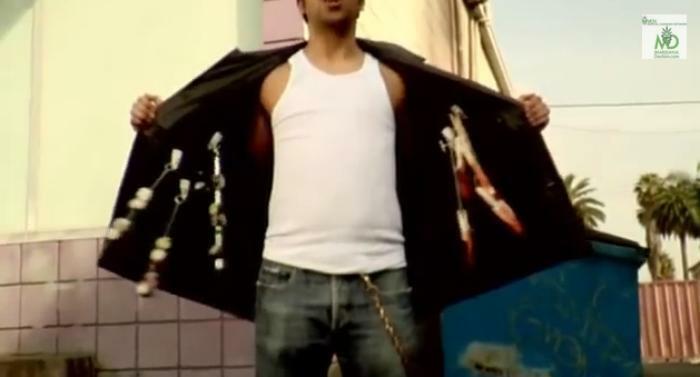 Estimates for cocaine, heroin and methamphetamine are largely based on information from the Arrestee Drug Abuse Monitoring Program, or ADAM, which was recently defunded by the U.S. government. Are medical marijuana commercials coming to TV? American marijuana laws have been in flux for the past few years: at the federal level, marijuana is thoroughly illegal and officially lacking all medicinal value (unless it's sold in synthetic form as “Marinol,” which is available only via prescription). At the state level, things change: some states ban marijuana as thoroughly as do the feds, other states allow marijuana to be sold as a prescription drug, and in two states, Colorado and Washington, it is legal as a recreational drug — like alcohol, only far more restricted. But there's one particular type of marijuana ban that hasn't changed anywhere in the U.S., and is unlikely to do so: TV watchers won't see ads for marijuana airing during commercial breaks. It's worth mentioning, however, that marijuana is by no means exclusive in that regard; radio and TV ads for tobacco cigarettes have been banned in the U.S. since 1970. On the other hand, American TV viewers routinely see advertisements for prescription pharmaceuticals, which makes us an outlier by world standards; New Zealand is the only other country where “direct to consumer pharmaceutical advertising” is legal. And even if recreational marijuana ads were banned, that still leaves open the question of pharmaceutical/medicinal marijuana ads. The non-issue of non-existent marijuana ads nonetheless became a short-lived media sensation last week (if you missed it, that's probably because you blinked) after MarijuanaDoctors.com issued a March 7 press release announcing its intention to air the first-ever medical marijuana TV commercials on various Comcast channels. Respected media outlets ranging from CNN and TIME to Comcast subsidiary NBC News reported the story as though the ads actually aired — except they never did (although they are visible on YouTube). So it brought free publicity to MarijuanaDoctors.com (exhibits A and B: this article exists, and you are reading it), yet it's worth asking: might this little stunt have somehow harmed the pro-marijuana-legalization cause? Of course, the wide availability of Internet access might render the question moot — content forbidden to broadcast over the airwaves is still easy to find on YouTube, and the very act of “watching TV,” let alone subscribing to cable, is in decline compared to obtaining content through computers or over handheld devices. Tax dollars are pouring in, crime is down in Denver, and few of the early concerns about social breakdown have materialized - at least so far …. In the first four months, marijuana sales amounted to more than $202 million, about a third of them recreational. Taxes from recreational sales were almost $11 million. Despite some critics' fears of a pot-driven crime explosion, Denver police say burglaries and robberies were down by between 4 and 5 percent in the first four months of the year. On the down side, sheriff's deputies in neighboring Nebraska say pot seizures near the Colorado border have shot up 400 percent in three years, while Wyoming and New Mexico report no significant increases. In May, controls on marijuana edibles were tightened after two people died. In one case, a college student jumped from a hotel balcony after eating six times the suggested maximum amount of pot-laced cookies. In the other, a Denver man was charged with shooting dead his wife after apparently getting high from eating marijuana-infused candy. Reuters did not say how many alcohol-related health or crime problems Colorado saw in that same time period. However, it is true that (especially for inexperienced or careless users) inadvertently eating “too much” marijuana is indeed easier than inadvertently drinking “too much” alcohol, solely because of the time differential: when someone drinks alcohol, or smokes marijuana, the intoxicating effects kick in almost immediately, whereas with edible marijuana, it can take up to an hour before any effects are felt. Colorado's brief history with legal marijuana sales is of particular interest now that Washington State is set to follow its lead: the state Liquor Control Board today gave out its first of up to 20 business licenses allowing for the recreational sale of marijuana to adults in that state. Law Enforcement Against Prohibition, an organization of law-enforcement professionals opposed to the war on drugs, noted that, although the marijuana business is now legal in Washington State, there will almost certain be supply shortages and other problems at first, especially since the state's first legal marijuana growers only got their licenses in March, so there simply hasn't been time for many crops to come in yet. The Associated Press reported that, due to the supply shortages,Pot prices were expected to reach $25 a gram or higher on the first day of sales — twice what people pay in the state's unregulated medical marijuana dispensaries.” Of the 2,600 people who applied to become licensed growers, less than 100 have been approved and only about a dozen had a ready-to-harvest crop by this month. Marijuana has been a cash crop for many years in this country. The only problem is that most of that crop had been grown illegally. 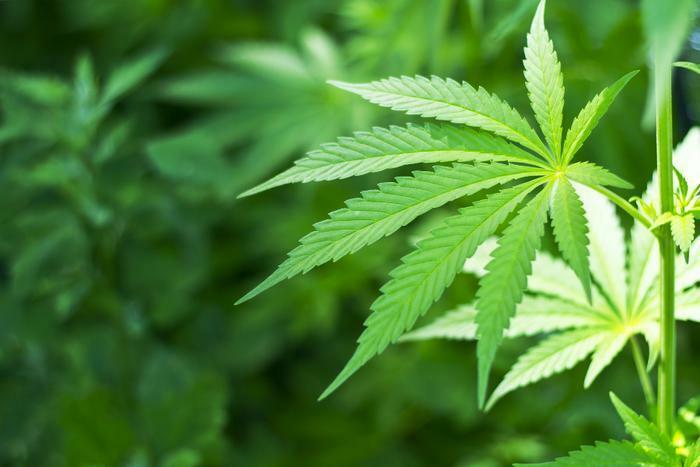 Now, that medical marijuana is legal in 15 states and the District of Columbia, legalized marijuana has quickly become so popular it is attracting attention from hedge fund managers and venture capitalists, not to mention a whole new batch of entrepreneurs. Doctors still can't prescribe marijuana because it is categorized as a schedule one drug like LSD. But they can recommend it and that's all anyone needs to get a medical marijuana license that allows them to buy marijuana legally in those 15 states, with three more states about join them. Each license sells for around $130 and some clinics selling the licenses have brought in more than a million dollars in just their first year. 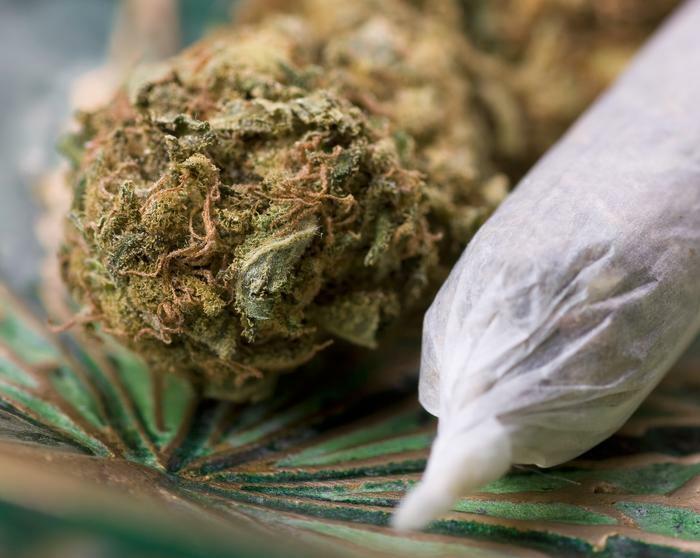 The once illegal joint is selling like hot cakes throughout middle America to consumers who no longer have to worry about getting arrested for possession, at least by local or state authorities. The federal government still outlaws marijuana possession but it's unlikely someone with a medical marijuana license will be busted by an FBI or DEA agent if caught smoking in his or her own home. In fact, just last year U.S. enforcers promised to leave medical marijuana operations alone if they complied with state law. That prompted a significant increase in interest among entrepreneurs. 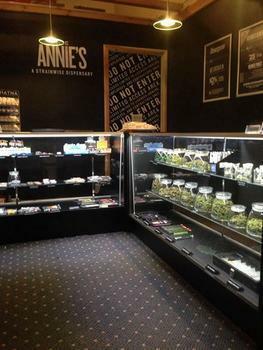 Today, there are an estimated 2,400 medical marijuana dispensaries from California to Maine. In Colorado, they outnumber Starbucks two to one. Making a profit, however, can still be problematic. In every state except Colorado, medical marijuana dispensaries must be structured as a not-for-profit, which is not a problem for some. Steve DeAngelo, founder of Harborside Health Center in Oakland, California, told Smart Money magazine that he likes that model because it preserves the business for local owners and keeps big-money players out. He adds that at Harborside, he uses profits to support in-house charities that offer free pot to people who can't afford to buy it along with free addiction counseling. But he's in the minority. Others see a lot of money in medical marijuana. Even DeAngelo's not for profit clinic brings in $50,000 a day so he also founded the for-profit CannBe, a management-consulting firm for medical marijuana start-ups. Plus, there are a growing number of hedge fund managers and venture capitalists who are taking a close look at what is an estimated $36 billion market. They're also predicting that many states who need cash will continue to relax rules and legalize marijuana for medical use. According to Smart Money, two hedge funds announced at a recent National Organization for the Reform of Marijuana Laws seminar that they would consider buying any medical marijuana dispensaries available for sale. A recent Gallup poll found that 44% of Americans are in favor of legalizing marijuana, which is almost twice as many as 15 years ago. It's still not enough however to change the laws surrounding recreational use. In November, California voted against ending cannabis prohibition all together. Meanwhile, medicinal use of pot continues to be the acceptable method of allowing marijuana into the mainstream, even as critics clamor that it's just a legal loophole to get high. That may be, but the debate over lost tax revenue and expensive jailing for offenders continues to grow louder and that just might be enough of a tipping point to justify a closer look into the financial viability of legal sales. The Michigan Court of Appeals has issued a decision that further limits the state's medical marijuana law. The justices ruled that a caregiver's decision to supervise the growth of 88 medical marijuana plants in a single facility on behalf of other registered caregivers and patients, other than his own, violates the Michigan Medical Marijuana Act (MMMA). The case arose from Kent County, Mich., prosecutor William Forsyth's filing of drug charges against caregiver Ryan Bylsma. The decision will stand as precedent for all other lower court cases, according to Michigan Attorney General Bill Schuette, who praised the decision. "This law is narrowly tailored to help those with serious debilitating illnesses, but criminals are exploiting it to construct massive grow operations," said Schuette. "I applaud the Court's decision in this case because it echoes the concerns of the public and law enforcement by protecting public safety. Limits on possession are not optional." A three judge panel of the Michigan Court of Appeals held Bylsma can be charged with manufacturing marijuana because he possessed 88 plants in one growing facility, in violation of the 12 plant per patient limit enshrined in the MMMA. The State may file drug possession and manufacturing charges against registered patients and caregivers who do not adhere to the 12 plant per patient limit. In June 2011, Schuette concluded in Attorney General Opinion 7259 that the MMMA does not permit the collective growing or sharing of marijuana plants between caregivers and unconnected patients or other caregivers. Schuette concluded the MMMA requires each patient's plants to be grown and maintained in a separate enclosed, locked facility that is only accessible to the registered patient or the patient's registered primary caregiver. The law has been a source of concern to law enforcement since it was passed by the Michigan legislature. Schuett earlier this years announced plans to join with some members of the legislature to modify the statute. For the first time, Congress may consider a measure to remove federal penalties for possession and use of marijuana, a news agency reported late Wednesday. In a dispatch from Washington, AFP, the French news agency, said Rep. Ron Paul (R-TX) and Rep. Barney Frank (D-MA), lawmakers from opposite ends of the political spectrum, plan to introduce the legalization bill sometime today. AFP based its report on comments from unnamed officials in organizations promoting the legalization of the drug. According to the report, the sweeping bi-partisan bill would limit the federal government's role to stopping smuggling. People would be free to grow and use marijuana in states that choose to legalize it. It would effectively end the federal sanction against cannabis, which is outlawed under the Controlled Substances Act. Prior to the federal prohibition, a number of states outlawed the drug in the early 20th century. Ironically, it has been states in recent years that have been inching toward legalization. Fifteen states now have medical marijuana laws, making it legal for health care professionals to prescribe marijuana for treatment. However, recreational use of marijuana, which gained widespread popularity among Baby Boomers during the 1960s and 70s, remains outlawed. The AFP report mentioned no specific details of the expected bill. Meanwhile, the National Organization for the Reform of Marijuana Laws (NORML) reports A coalition that includes former U.S. Attorney John McKay, Seattle City Attorney Pete Holmes and travel guide Rick Steves is launching an initiative that would legalize marijuana in Washington state. The group, led by the American Civil Liberties Union of Washington, reportedly decided to push the initiative after Gov. Chris Gregoire vetoed most of a medical-marijuana bill that had passed the state Legislature. The initiative would regulate the recreational use of marijuana in a way similar to how the state regulates alcohol. It would legalize marijuana for people older than 21, authorize the state Liquor Control Board to regulate and tax marijuana for sale in “stand-alone stores” and extend drunken-driving laws to marijuana, with blood tests to determine how much of the substance’s active ingredient is present in a driver’s blood. Michigan is one of the states with medical marijuana laws on its books, but the state's attorney general says the law is poorly written and having unintended consequences. Michigan Attorney General Bill Schuette, joined by two Republican state legislators, has announced his plans to revise the law in the next session of the legislature. "Michigan voters didn't count on pot shops springing up across from their schools and churches," said Schuette. "That's why I'm taking action today to support local governments' authority to protect their communities." Schuette filed a brief today in support of the City of Livonia in the case, Linda Lott and Robert Lott v City of Birmingham, City of Bloomfield Hills, and City of Livonia. The case involves a legal challenge brought by the ACLU regarding the authority of communities to prohibit medical marijuana use or sales on the grounds that marijuana possession violates federal law. In a brief filed with the court, Schuette sides with Livonia, arguing that the Michigan Medical Marijuana Act is preempted by federal law and that local communities should not be forced to sanction criminal activity. The case is scheduled for oral argument on June 30, 2011 at 11:00 A.M.
Schuette said that conservative estimates suggest there are hundreds of dispensaries across the state, with eighty-four in the Lansing area alone. While state courts complete their review of cases involving the Michigan Medical Marijuana Act, Schuette is working with legislators to make changes to the law. "I welcome legislative reforms that will give prosecutors and law enforcement the tools they need to crack down on criminals who exploit the loopholes of this law," said Schuette. Also today, Schuette issued an Attorney General's Opinion, declaring that the law allows no more than 12 marijuana plants to be cultivated in a single location. He further declared that each set of plants grown by a caregiver is required to be in a separate, enclosed and locked facility, accessible only to the caregiver and a single patient. Calling medical marijuana “out of control,” Schuettte said the Michigan law did not legalize marijuana, but criminals are exploiting it to sell the drug. This week in Washington, Rep. Barney Frank (D-MA) and Rep. Ron Paul (R-TX) introduced legislation that would remove the federal prohibition against marijuana. The measure would essentially leave it up to the states to make their own laws with regard to the drug. They don't have much in common but Barney Frank and Ron Paul agree on one thing: marijuana laws should be set at the state, not federal level. Perhaps surprisingly, a group of judges and police officers agree with them. The liberal Massachusetts Democrat and conservative Texas Republican yesterday introduced legislation in Congress that would prohibit the federal government from prosecuting adults who use or possess marijuana. Their “Ending Federal Marijuana Prohibition Act of 2011” (HR 2306) is the first legislation that seeks to decriminalize marijuana since the Marijuana Tax Act was enacted in 1937. Joining Frank and Paul as co-sponsors were Reps. Steve Cohen (D-Tenn.), John Conyers Jr. (D-Mich.), Jared Polis (D-Colo.) and Barbara Lee (D-Calif.). "The federal government shouldn't be spending its time on marijuana," Lee said. "Clearly the 'war on drugs' has failed, and nowhere is that more clear than with respect to marijuana," said Neill Franklin, a former Baltimore narcotics cop and executive director of Law Enforcement Against Prohibition. "Making marijuana illegal hasn't prevented anyone from using it, but it has created a huge funding source that funnels billions of dollars in tax-free profits to violent drug cartels and gangs. More and more cops now agree: Legalizing marijuana will improve public safety." The measure's a long way from being enacted, however. Rep. Lamar Smith (R-Texas), who heads the House Committee on Judiciary, has already said he "would not even consider" scheduling a hearing on the bill. Language in the bill is similar to that used to repeal the federal prohibition of alcohol. It would remove the conflict between federal law and the laws of the 16 states that allow for limited use of marijuana under a physicians' supervision. It would also allow states to fully legalize and regulate possession, use, production and distribution without federal interference. NORML, an organization that has lobbied for legalization of marijuana since the lkate 1960s, was understandably euphoric. "The federal criminalization of marijuana has failed to reduce the public's demand or access to cannabis, and it has imposed enormous fiscal and human costs upon the American people,” said NORML Executive Director Allen St. Pierre. “It is time to end this failed public policy and to provide state governments with the freedom to enact alternative strategies -- such as medicalization, decriminalization, and/or legalization -- without running afoul of the federal law or the whims of the Department of Justice." Michigan Attorney General Bill Schuette has made it pretty clear he doesn't think much of the state's medical marijuana law, saying it is being abused by criminals. Schuette, who took office last year, has drafted legislation to overhaul the law, making it strictly apply only to those who need it for medical treatment and not, as he contends, people who want to use the drug for recreation. But some people in Kalamazoo seem to be moving in the other direction. City voters may consider a charter amendment instructing local police to treat marijuana offenses as the least important violation of law. In a letter to Michigan Gov. Rick Snyder, Schuette said the proposed charter amendment would have the practical impact of police not enforcing state law and likely cause lawsuits against the city. "It is simply unfathomable that we would ask police officers to look the other way when a crime is being committed," said Schuette. "The amendment is illegal and will send the signal that random marijuana use is acceptable." In the letter to Snyder, Schuette recommended that the Governor not approve the charter amendment, as is his option during the charter amendment review process prescribed in state law. The proposed amendment was not offered by Kalamazoo city officials, but rather is the result of a citizens petition process. Enough local signatures were obtained to place the amendment on the ballot. But despite its democratic origins, Schuette said telling the local police force to de-emphasize certain crimes is not legal, since it undermines the power of local police to enforce state criminal laws. Schuette said the practical impact of the amendment is likely to be that law enforcement simply does not enforce state law that makes it illegal for non-medicial marijuana patients and caregivers to be in possession of marijuana. This concern was also raised by the Kalamazoo City Attorney earlier this year when he said that passage of the petition could be seen as an attempt to extend the immunization from prosecution and law enforcement currently enjoyed by lawful medical marijuana patients and caregivers to the general population. Schuette went on to note that if the proposed charter amendment is passed by local voters, the revision could indeed be challenged in court. California Attorney General Kalama Harris is the latest law enforcement officials to voice concerns about her state's medical marijuana law. In a letter to California lawmakers, Harris said she is troubled by the exploitation of the law by gangs and criminal enterprises. Michigan Attorney General Bill Schuette has taken a similar position and supported local prosecutors who have tried to close medical marijuana dispensaries in the state. Harris said her office recently completed a series of meeting across the state with cities, counties and patient groups with the goal of finding a way to revise the state's medical marijuana guidelines. "I have come to recognize that non-binding guidelines will not solve our problem," Harris said. "State law itself needs to be reformed, simplified, and improved to better explain to law enforcement and patients alike how, when, and where individuals may cultivate and obtain physician-recommended marijuana." The letter, to the President Pro-Tem of the California Senate and the Speaker of the General Assembly, requested that lawmakers formally take up measures to reform California's medical marijuana law, one of the first in he nation. California legalized marijuana for medical use by voter referendum in 1996. In 2003 legislators established guidelines outlining how much medicinal marijuana patients may grow and possess. Under the guidelines, qualified patients and/or their primary caregivers may possess no more than eight ounces of dried marijuana and/or six mature (or 12 immature) marijuana plants. However, the guidelines allow patients to possess larger amounts of marijuana when such quantities are recommended by a physician. Critics of the law say it is subject to widespread abuses and serves as a cover for recreational use of the drug. Sixteen states and the District of Columbia now have medical marijuana laws. Nearly six out of ten American voters believe that the personal use of marijuana should no longer be a criminal offense, and 56 percent of Americans say that the substance ought to be legalized like alcohol, according to a nationwide Rasmussen telephone poll of 1,000 likely voters. According to the poll, 58 percent of respondents believe that it should not be a crime "for someone to smoke marijuana" in private. Only 32 percent of respondents believed that such activity should remain illegal. Among self-identified Democrats, 63 percent agreed that the personal use of marijuana should not be a crime versus 49 percent of Republicans. A solid majority of respondents, 56 percent, also said that they favored "legalizing marijuana and regulating it like alcohol or cigarettes." (Thirty-four percent were opposed.) Among males polled, 61 percent favored legalization versus 52 percent of females. A majority of respondents of every age group polled favored legalizing cannabis, including 50 percent of those age 65 and older. However, among those respondents with children, only 49 percent said that they favored legalization. Support for legalizing cannabis rose to 57 percent when pollsters' asked: Do you favor legalizing marijuana if "no one under 18 could buy it, it was banned in public, and there were strict penalties for driving under the influence." The slight gain in overall support was largely because of a spike in support among respondents with children (49 percent to 58 percent) and self-identified Republicans (48 percent to 52 percent). The findings came as no surprise to NORML, an advocacy organization that favors legalization of marijuana. "This poll illustrates, once again, that the public's growing frustration with marijuana prohibition and their desire for market based alternatives crosses conventional ideological and political boundaries," said NORML Deputy Director Paul Armentano. "This poll illustrates, once again, that the public's growing frustration with marijuana prohibition and their desire for market based alternatives crosses conventional ideological and political boundaries." He added: "By and large, voters of all ages and all ideological persuasions support regulating cannabis like alcohol, and they reject the failed policy of arresting, prosecuting, and incarcerating responsible adult marijuana consumers. Lawmakers at the state and federal level ought to recognize this sea change in public opinion and realize that marijuana law reform is no longer viewed by voters as a political liability, but rather as a political opportunity." In 2011, a nationwide Gallup poll reported that 50 percent of Americans support legalizing the use of cannabis for adults. Forty-six percent of respondents said they opposed the idea. Most recently, an April 2012 Rasmussen Reports telephone survey reported that 47 percent of adults "believe the country should legalize and tax marijuana in order to help solve the nation's fiscal problems." Forty-two percent of respondents disagreed, while ten percent were undecided. The Michigan Court of Appeals has ruled that marijuana dispensaries conducting patient-to-patient sales of the drug are illegal and can be shut down under the state's public nuisance law. The case arose from a legal challenge to a for-profit system of marijuana sales among patients at a Mount Pleasant, Mich., marijuana dispensary, Compassionate Apothecary. The ruling now stands as precedent for all other lower court cases in Michigan and carries immediate effect, according to Michigan Attorney General Bill Schuette. "This ruling is a huge victory for public safety and Michigan communities struggling with an invasion of pot shops near their schools, homes and churches," said Schuette. "The Court echoed the concerns of law enforcement, clarifying that this law is narrowly focused to help the seriously ill, not the creation of a marijuana free-for-all." Schuette said he will send a letter to Michigan's 83 county prosecutors explaining that the ruling clearly empowers them to close dispensaries and provide instructions on how to file similar nuisance actions to close dispensaries in their own counties. The courts can infer that a dispensary's purpose is not to alleviate a debilitating medical condition. In March, Schuette joined Isabella County Prosecutor Larry Burdick in his appeal of the case, The Isabella County prosecutor's office sought to have Compassionate Apothecary, a medical marijuana club owned by two Mt. Pleasant residents, declared a public nuisance and closed on the grounds its activities violated the MMMA. The club allows patient-to-patient sales of marijuana, with the club profiting by taking a 20 percent commission. California voters will decide in November whether to legalize marijuana for recreational use. If the ballot initiative should pass, what exactly would be the impact? Researchers studying that question say it would have at least two results: it would lower the cost of the now-illegal drug as much as 80 percent and increase its use. Researchers at the RAND Corporation, who undertook the study, say that first point is important for state officials who are eying potential new tax revenue from marijuana sales. While the state Board of Equalization has estimated taxing legal marijuana could raise more than $1 billion in revenue, the RAND study cautions that any potential revenue could be dramatically higher or lower based on a number of factors, including the level of taxation, the amount of tax evasion and the response by the federal government. Past research provides solid evidence that marijuana consumption goes up when prices go down, but the magnitude of the consumption increase cannot be predicted because prices will fall to levels below those ever studied, researchers say. Consumption also might rise because of non-price effects such as advertising or a reduction in stigma. In addition to uncertainty about the taxes levied and evaded, researchers do not know how users will respond to such a large drop in price. Even under a scenario with high taxes ($50 per ounce) and a moderate rate of tax evasion (25 percent), researchers say they cannot rule out consumption increases of 50 percent to 100 percent, and possibly even larger. If prevalence increased by 100 percent, marijuana use in California would be close to the prevalence levels recorded in the late 1970s. The analysis, prepared by the RAND Drug Policy Research Center, was conducted in an effort to objectively outline the key issues that voters and legislators should consider as California weighs marijuana legalization. "There is considerable uncertainty about the impact that legalizing marijuana in California will have on consumption and public budgets," said Beau Kilmer, the study's lead author and a policy researcher at RAND. "No government has legalized the production and distribution of marijuana for general use, so there is little evidence on which to base any predictions about how this might work in California." The analysis also suggests that the annual cost of enforcing current marijuana laws is smaller than suggested by others. The RAND study estimates that the cost of enforcing the current laws probably totals less than $300 million. "It is critical that legislators and the public understand what is known and unknown as the state weighs this unprecedented step," said Rosalie Liccardo Pacula, a study co-author and co-director with Kilmer of the RAND Drug Policy Research Center. Two proposals are pending that would legalize the production and sale of marijuana in California. Assembly Bill 2254 authored by Assemblyman Tom Ammiano (D-San Francisco) would legalize marijuana for those aged 21 and older and task the state Department of Alcoholic Beverage Control with regulating its possession, sale and cultivation. The bill would create a $50 per ounce excise tax and these funds would be used to fund drug education, awareness, and rehabilitation programs under the jurisdiction of the State Department of Alcohol and Drug Programs. In November, California voters will consider a ballot measure titled the Regulate, Control and Tax Cannabis Act of 2010 that would make it legal for those aged 21 and older to cultivate marijuana on a 5-foot-by-5-foot plot, and possess, process, share or transport up to one ounce of marijuana. In addition, the initiative would authorize cities or counties to allow, regulate and tax the commercial cultivation and sales of marijuana. Such activities would remain illegal in jurisdictions that do not opt in. What remains to be seen, however, is how the U.S. Government would respond to the potential legalization of marijuana in California. Marijuana remains a controlled substance under federal law. In the last week the U.S. Government sued the State of Arizona, saying its new illegal immigration law intrudes on federal authority to control the borders. The Justice Department could challenge a California pot law on similar grounds. In only two countries have there been changes in the criminal status of supplying marijuana. The Netherlands allows for sale of small amounts of marijuana (5 grams) in licensed coffee shops and in Australia four jurisdictions have reduced the penalties for cultivation of a small number of marijuana plants to confiscation and a fine. Neither has legalized larger-scale commercial cultivation of the sort California is considering. 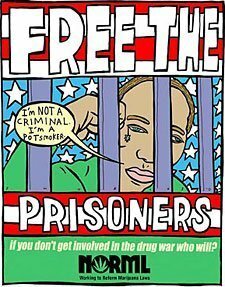 In 1975, California was one of the first states to reduce the maximum penalty for possessing less than an ounce of marijuana from incarceration to a misdemeanor with a $100 fine. In 1996, California became the first state to allow marijuana to be grown and consumed for medical purposes. RAND researchers say one effect of legalizing marijuana would be to dramatically drop the price as growers move from clandestine operations to legal production. Based on an analysis of known production costs and surveys of the current price of marijuana, researchers suggest the untaxed retail price of high-quality marijuana could drop to as low as $38 per ounce compared to about $375 per ounce today. RAND researchers caution there are many factors that make it difficult to accurately estimate revenue that might be generated by any tax on legal marijuana. The higher the tax, the greater the incentives would be for a gray market in marijuana to develop, researchers say. "A fixed excise tax per ounce may give producers and users an incentive to shift to smaller quantities of higher-potency forms of marijuana," said study co-author Jonathan P. Caulkins, the H. Guyford Stever Professor of Operations Research at Carnegie Mellon University's Heinz College and Qatar campus. 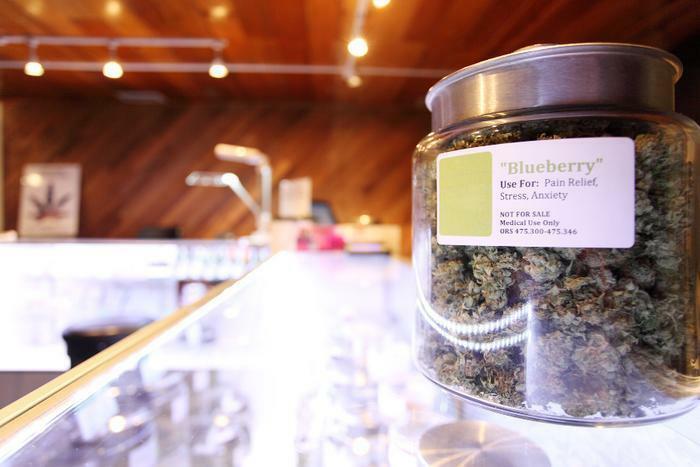 Such a shift is another factor that could lower revenues collected from marijuana taxes. In addition, since the November ballot initiative leaves it to local governments to set tax rates, the size of any levy could vary broadly. A jurisdiction with a low tax rate might attract marijuana buyers from elsewhere in the state or even other states, further complicating efforts to predict government revenues from the sale of legal marijuana, according to researchers. The RAND report also investigates some of the costs to the state and society in general, such as drug treatment and other health expenses, that may change if marijuana is legalized in California. It's unclear whether legalizing marijuana may increase or decrease drug treatment costs, according to the study. More than half of the 32,000 admissions for treatment of marijuana abuse in California during in 2009 resulted from criminal justice referrals, which could drop if legalization is approved. However, an increase in marijuana use could cause a spike in those who voluntarily seek treatment for marijuana abuse, researchers say. Even as a number of states have enacted laws allowing the medical use of marijuana, arrests for marijuana-related offenses are on the rise, according to the FBI's annual Uniform Crime Report. According to the report, marijuana arrests now comprise more than one-half - 52 percent - of all drug arrests in the United States. An estimated 46 percent of all drug arrests are for offenses related to marijuana possession. Consumer attitudes about marijuana are still highly conflicted but have been trending positively over the last year, according to a ConsumerAffairs.com analysis of more than 2.9 million comments in Facebook, Twitter and other social media and blogs. "Today, as in past years, the so-called 'drug war' remains fueled by the arrests of minor marijuana possession offenders, a disproportionate percentage of whom are ethnic minorities," National Organization for Reform of Marijuana Laws (NORML) Deputy Director Paul Armentano said. "It makes no sense to continue to waste law enforcements' time and taxpayers' dollars to arrest and prosecute responsible Americans for their use of a substance that poses far fewer health risks than alcohol or tobacco." Of those charged with marijuana law violations, 750,591 (88 percent) were arrested for marijuana offenses involving possession only. The remaining 103,247 individuals were charged with "sale/manufacture," a category that includes virtually all cultivation offenses. The increasing marijuana arrests come in spite of state laws allowing patients to use marijuana with a doctor's prescription. But at least one such state, Michigan, is re-evaluating that law amid officials' charges that it is being abused. Michigan Attorney General Bill Schuette is leading a crackdown on what he says are violations of the state's medical marijuana law. Most recently, Schuette charged a Lansing marijuana dispensary owner with violating Michigan election law for allegedly offering free marijuana to citizens who registered to vote as an inducement to influence their manner of voting. Schuette has charged the medical marijuana law is being used to sell pot for recreational use and has proposed legislation to close what he says are loopholes in the law. Whatever their feelings about marijuana, consumers remain wary of the substance because of its illegality. In an analysis of 15,900 consumer comments about mairjuana's attributes, its illegality was by far the most frequently cited. While medical marijuana laws seem to suggest states are taking a more lenient approach to the drug, the FBI statistics suggest police continue to vigorously enforce drug laws. By region, the percentage of marijuana arrests was highest in the Midwest (63.5 percent of all drug arrests) and southern regions (57 percent of all drug arrests) of the United States and lowest in the west, where pot prosecutions comprised only 39 percent of total drug arrests. By contrast, NORMAL points out that, where marijuana arrests were the highest, arrests for heroin and cocaine were lowest. A new poll finds that three quarters of American voters (74%) want the Obama administration to respect individual state medical marijuana laws. The just-released poll conducted by Mason-Dixon Polling & Research informed voters that medical marijuana is legal with a doctor’s recommendation in 16 states as well as the District of Columbia, and in some of those states it is legal for licensed and tightly regulated individuals to grow and sell marijuana to qualifying patients. Respondents were then asked if President Obama should respect the medical marijuana laws in these states, or continue to use federal resources to arrest and prosecute individuals who are acting in compliance with state medical marijuana laws. "These results are consistent with the clear and growing body of evidence that documents substantial voter support for the legalization of medical marijuana," said Larry Harris, a principal with Mason-Dixon Polling & Research. Support for keeping the federal government out of state medical marijuana issues was universal across all demographics. With respect to political affiliation, 75% of Democrats, 67% of Republicans, and, notably 79% of Independents said that President Obama should respect state medical marijuana laws. Even among the least supportive group (those identified as over 65 years of age), 64% were in favor of respecting state law. The nationwide poll of 1000 registered likely voters was conducted May 7 to 11, 2012, and commissioned by the Marijuana Policy Project. California, struggling with budget deficits and growing debt, is seriously eyeing the legalization of marijuana as the answer to its money woes. A key legislative committee this week approved a bill that would tax and regulate the sale of marijuana. According to the bill, which was introduced almost a year ago, marijuana would be treated much the same way the state treats the sale of alcohol; you would have to be over 21 years of age to possess it, to smoke it, or to grow it. And then there's the tax. Assembly Bill 390 would impose a fee of $50 per ounce on legal sales of marijuana. Supporters say the money would be used for eradication of illegal drugs and other drug-related issues, but there is no doubt lawmakers are eyeing the tax as at least one answer to California's budget crisis. Supporters say the marijuana tax could raise nearly $1 billion a year. While the measure is controversial, it has some unexpected backers. A group of former police officers, judges and prosecutors, calling itself Law Enforcement Against Prohibition (LEAP), has advocated pot legalization for some time. It is throwing its support behind Assembly Bill 390. "In our current economic climate, we simply cannot afford to keep arresting more than three people every minute in the failed 'war on drugs,'" said Jack Cole, a retired undercover narcotics detective who now heads LEAP. "Plus, if we legalized and taxed drug sales, we could actually create new revenue in addition to the money we'd save from ending the cruel policy of arresting users." Another LEAP official, retired Orange County California Supreme Court Judge Jim Gray, says the state's economic crisis gives the group hope the measure can pass. A year ago, he says, it would never have gotten out of committee. Now that it's passed the Public Safety Committee, the legalization measure will come up for a vote before the full Assembly. It will be the first time any state has considered repealing the prohibition on marijuana, which was imposed at the federal level in 1913. And for California, and any other state considering a tax on legal pot sales, that's where their hopes could go up in smoke. Federal agencies will not change their policies and enforcement procedures based on actions of a state legislation. For proof, Californian need look no further than to the previous administration in Washington, which instructed the Drug Enforcement Agency to continue making marijuana use arrests, even though the state allowed some uses for medical reasons. To prevent federal laws and regulations from pre-empting the state's legalization measure, California would need to persuade Congress to change federal drug laws. LEAP is working at the federal level too, arguing that the "war on drugs" has failed and that some drugs like marijuana should be controlled and taxed, not prohibited. Marijuana use has rapidly increased among young people and health researchers in Australia suggest there could be serious consequences. For women and their children, especially. The study at the University of Adelaide found that women who use marijuana can more than double the risk of giving birth to a baby prematurely. The use does not have to be while they are pregnant, but can be in the months before they became pregnant. Premature birth is defined as at least three weeks before a baby's due date and can result in serious and life-threatening health problems for the baby, and an increased risk of health problems in later life, such as heart disease and diabetes. A study of more than 3000 pregnant women in Adelaide, Australia, and Auckland, New Zealand, has detailed a number of the most common risk factors for preterm birth. The greatest factor was a strong family history of low birth weight babies. Marijuana use by the mother was second on the list. The results were published online in the journal PLoS ONE. An estimated 20.4 million people in the U.S. use some kind of illicit drug and marijuana is the most common among them. The National Survey on Drug Use and Health (NSDUH) estimates there are nearly 15 million marijuana users in the U.S. Marijuana has been illegal in the U.S. since the early 20th century but in recent years efforts to make it at least partially legal have gained ground. A number of states have legalized marijuana for medicinal use, requiring users to obtain a doctor's prescription. Law enforcement officials in Michigan, meanwhile, have recently tightened enforcement of the law, claiming drug dealers have abused it to legally sell the drug. Marijuana is used to treat nausea, vomiting, premenstrual syndrome, unintentional weight loss, insomnia and lack of appetite. It is also used to treat pain, movement disorders and glaucoma.